Z-Dog Media is a full service digital marketing and production company providing content, consulting, and digital production services. We have years of experience in website development, SEO implementation, content writing, photography, advertising, and video/film production. We are certified in Google Analytics and all aspects of Google AdWords (search, display, mobile, video and shopping). Mitch Mandell has been involved in media or communications for his entire life. As a child he was the first reporter for the Costello Chronicle, a local newspaper letting neighbors in on the events of the neighborhood. In high school Mitch majored in Graphic Arts where he was instrumental in the production of the school newspaper as a typesetter and dark room specialist. Moving on to college, Mitch majored in Communications and Film, achieving a degree in filmmaking from LAVC. This landed him his first advertising job at Chiat/Day inc. Advertising, the #1 agency at the time on the west coast. As a Radio and TV producer he produced ads for Nike, Pizza Hut, Apple, Porsche, Yamaha and other clients on the Chiat/Day roster. When FOX launched its TV network Mitch was tapped to write/produce TV promos for the young network's top shows, Married With Children, Cops and The Tracey Ullman Show. As the internet started to take shape, Mitch took notice and learned all he could about digital marketing and production. From 2000 - 2005 Mitch was a Senior Interactive Digital Producer at TeamOne Advertising. He was responsible for managing large scale online digital production and development for TeamOne's flagship client Lexus Automotive. 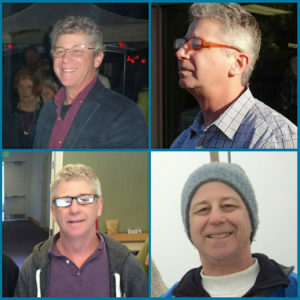 With his business partner Cheri Sicard, Mitch formed Enigma Communications and started publishing FabulousTravel.com, FabulousFoods.com and FabulousLiving.com. Over the next few years they built the "Fabulous" sites traffic to over 5 million monthly viewers and transformed Fabulous Foods into one of the top food and recipe sites on the internet. The success did not go unnoticed, and in 2010 the "Fabulous" sites were purchased by SheKnows.com. In 2012 Mitch and Cheri started Z-Dog Media, llc as a digital media production and marketing company to put their extensive advertising, digital publishing, and digital marketing experience to use helping clients create successful websites and digital marketing and advertising campaigns. Before becoming an editor and publisher, Cheri Sicard began her writing career as a food and travel writer, but along the way her passion for politics and government caused her branch out beyond these topics. Cheri is the author of 7 books published books including The Great American Handbook (2003, Berkeley Trade), US Citizenship for Dummies (2003, For Dummies), Everyday American (2008, Bookspan), The Complete Idiot’s Guide to Easy Freezer Meals (2011, Lifestyles Paperback), and Mary Jane: The Complete Marijuana Handbook for Women (2015 Seal Press). While working on these projects, Cheri and business partner Mitch Mandell created the websites Fabulous Foods, Fabulous Travel, and Fabulous Living. Cheri served as editor-in-chief of the sites from their inception until they were sold to Atomic Online (She Knows) in 2010. She was instrumental in organically building the traffic to the sites through a variety of niche targeted email newsletters, guerilla marketing techniques, and developing and fostering a dedicated and interactive user base. 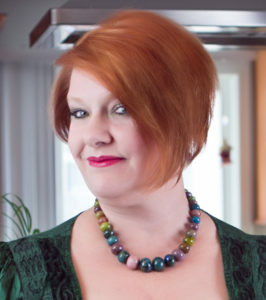 In addition to her editorial skills, Cheri has written countless freelance food and travel articles, developed recipes for books and magazines, as well as penned and The Low Carb Restaurant Guide (2004, M Evans). Cheri is also the founder and executive director of the Marijuana Lifer Project, a nonprofit organization that advocates for nonviolent federal prisoners serving life sentences for cannabis.